More than 500 km. 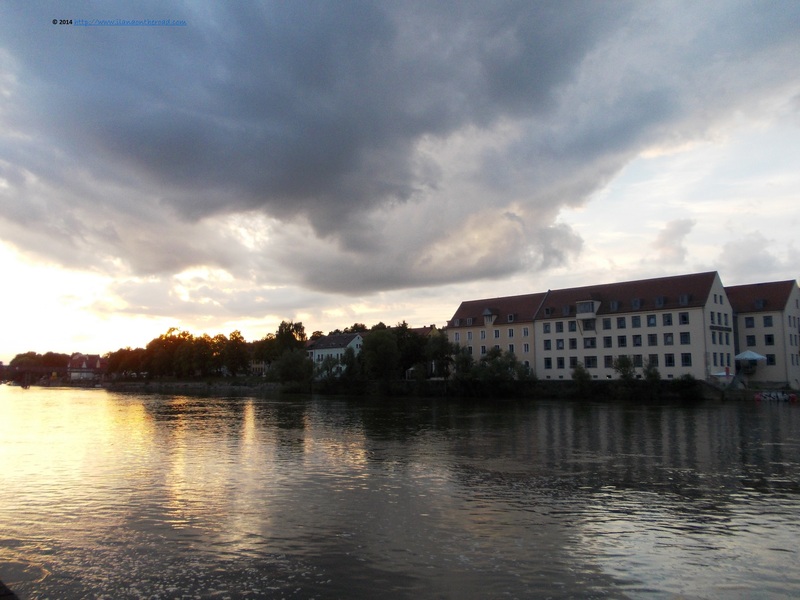 away from Berlin, the former Roman city of Ratisbon, Regensburg, is just another travel country. Not only people are more welcoming and smiling more often then in most of the place I've been before, but there is a certain Italian predominant joyous spirit surprising the first time visitor. My travel day of choice was one of the happiest in the German recent calendar: the final game of the World Cup and early in the afternoon, the streets around the 19th century train station were full of people running fast to be near a TV set when the game started. Add to this the colourful people getting emotional on the streets hours in advance, just because the event was too important to spend the day indoors waiting to have the colourful ambiance of my first hours into the city. 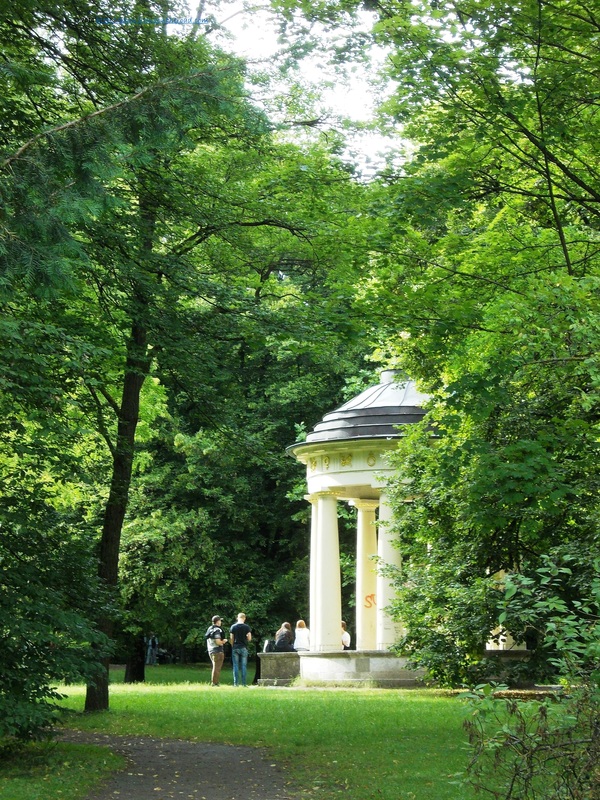 One of the gathering point was near the white colonnades of the temple situated in the garden near the Maximilianstreet. The side streets were quiet though and searching for some silent areas, I stumbled upon the remnants of an old Roman wall. It is only a small part of what used to be once the Castra Regina, built by Marc Aurelius in order to counter the invasion of the German tribes in the Northern part of the Danube. After checking-in to my far away accommodation at Ibis, I hurried back in town for more discoveries. One of the most pleasant was the diversity of patrician houses, many of them carefully rebuilt. 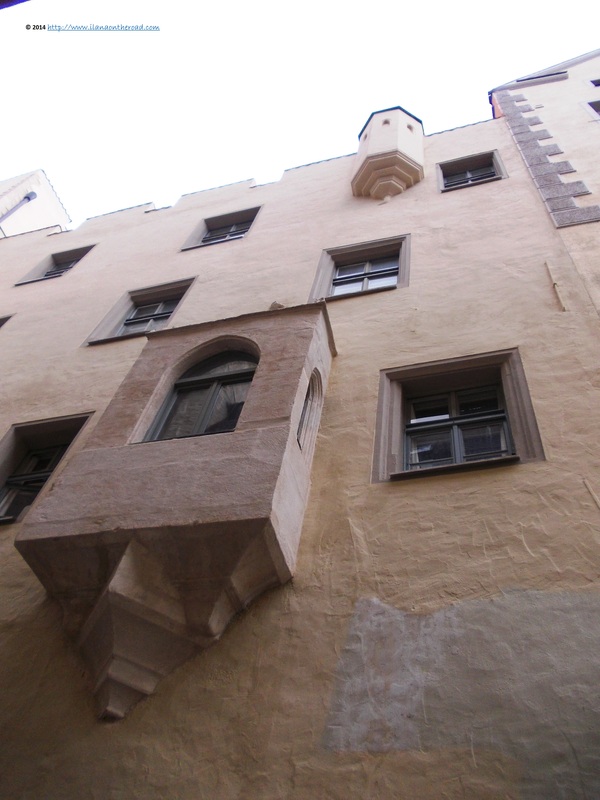 The different architectural styles are part of the different layers of history of the city whose dramatic development started between 12-13th century as part of the increasing role of the Danube in the trade networks in this part of the world. The so-called 'inner city' offers an interesting and courageous display of various styles, with its simple maze of streets and small shops and art galleries. The common feature is the interest to moderately display a status of well-being. The tradesmen travelling back and forth brought the Mediterranean inspiration in architecture but also delicious spices and precious metals. 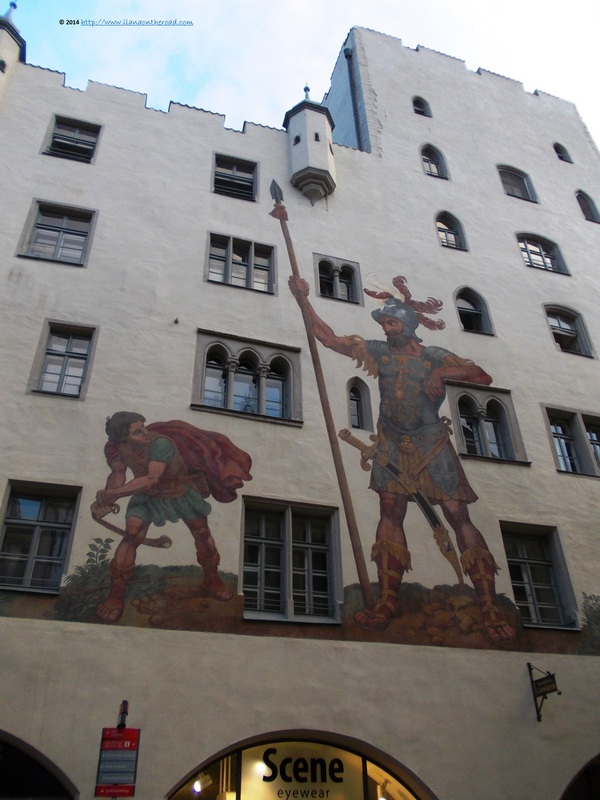 Many wealthy merchants remodelled the serious Bavarian world up to their travel memories. The results are eclectic and pleasantly impressive to the eye of the first-time visitor, but I must recognize that more than once I realized how much I need to read more about the more or less recent history of the city. Lucky me to discover at Domplatz the Dom Buchhandlung, where books in various languages about the city are sold. The Danube, whose sparkling presence I noticed at the very beginning of my entrance into the city, is the main character of the city. It separated it yet it brings together the specific differences. Watching the sunset while people were getting more and more impatient about who will be the winner of the World Cup was an unique experience: it is like being asked to forget all the worries and problems while getting focused on the beautiful eternal nature. 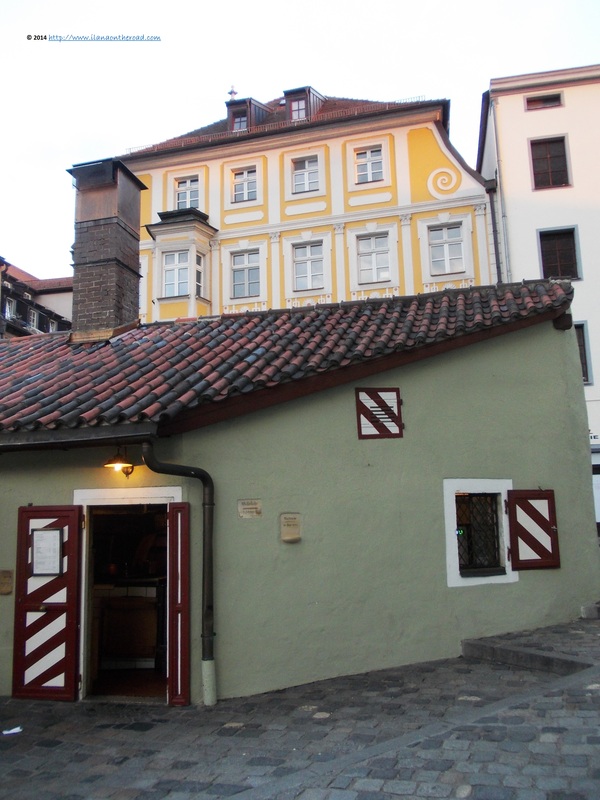 Close to the famous stone bridge, part of the UNESCO World Heritage, there is the small 900-year old Sausage Kitchen that used to serve the workers that built the bridge. People were working intensively inside, with a high demand of mustard and sauerkraut for the soccer lovers. Daily, it delivers around 6,000 sausages the day to the hungry customers. Close from it was situated the Fish market, where people used to sold their fresh fish on the stone benches nowadays used to rest. Another benchmark in the area is the Keppler House, where the famous scientists used to live. 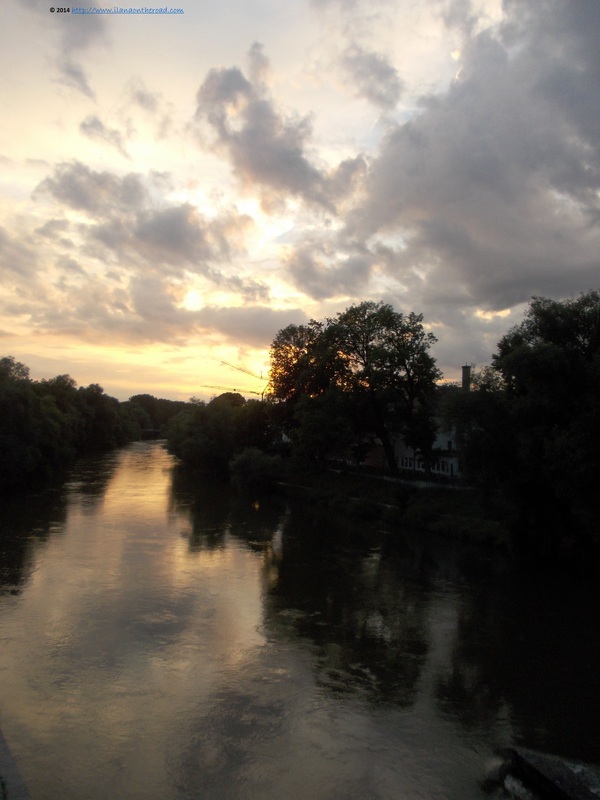 The nature near Danube banks created a little paradise with small islands and quiet corners, but also with bars or biergarden for those interested in more social interaction. 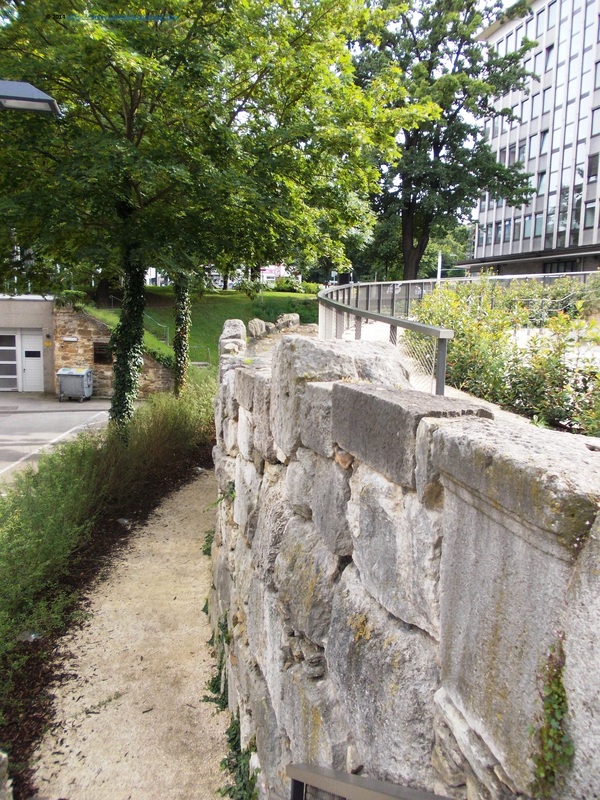 The stone bridge connects the inner city with the historical Stadtamhof, both part of the UNESCO World Heritage. During ages, Stadtamhof developed a very special Bavarian identity, reflected in the relatively common architecture of the houses and the small streets that remind of the Middle Ages. 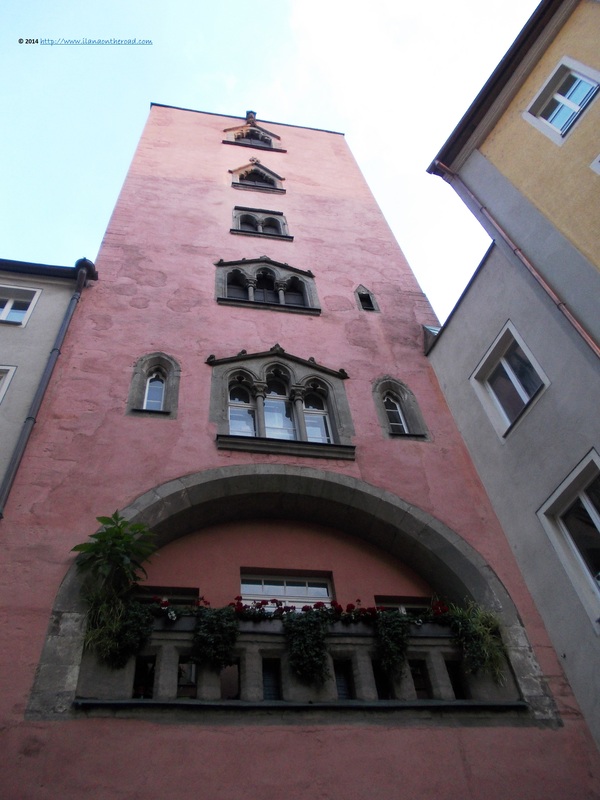 Its construction lasted 11 years, between 1136 and 1147, and was supported financially by the merchants of Regensburg. As in the many cases of bridges or buildings whose construction lasted too long, various legends appeared in order to explain the delay. In this case, it was said that the devil himself contributed to the construction, that was finished long before that of the cathedral's. 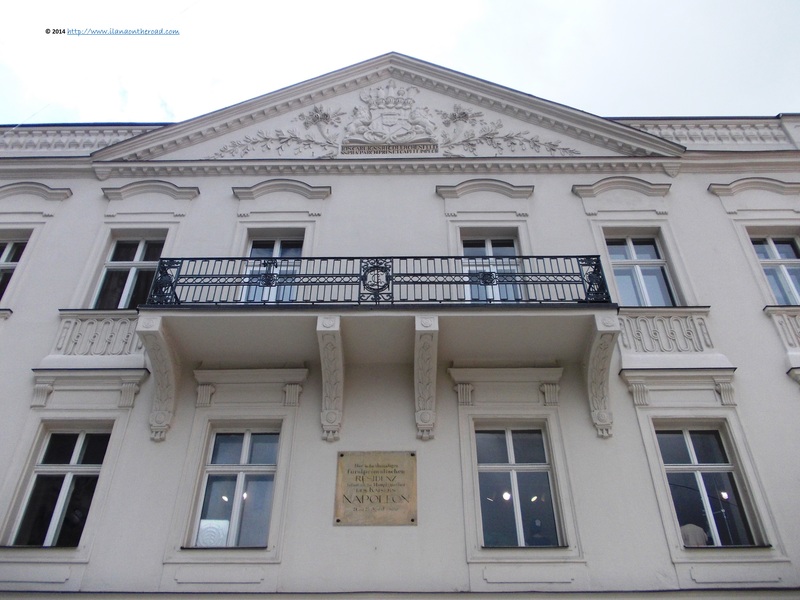 I enjoyed spending time in the Stadtamhof but the bubbling historical center called me back. The evening was close, the enthusiastic screams of the dedicated followers of Germany's adventure in Brazil more frequent, but I continued to wonder at the extraordinary architecture. Another famous landmark is the Goliath House, built in the 13th century. The biblical story was painted in the second half of the 16th century, possibly under the influence of theology students that traveled to the city. From the Middle Ages on, Regensburg/Ratisbon played an important theological role, one of the most outstanding representative being the late pope, Benedict XVI who taught theology here between 1969 and 1977. As I am usually a foreigner to the world of soccer, I was lucky to discover that I visited the city at the right time for finding alternative entertainment. 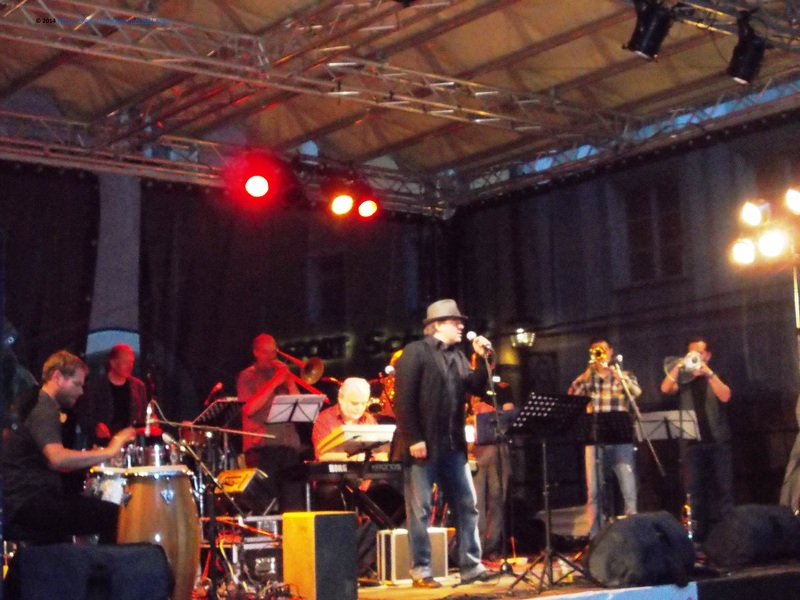 Between 10 and 13 July, Regensburg hosted the Bavarian Jazz Festival, featuring various bands and artists from the South of Germany. 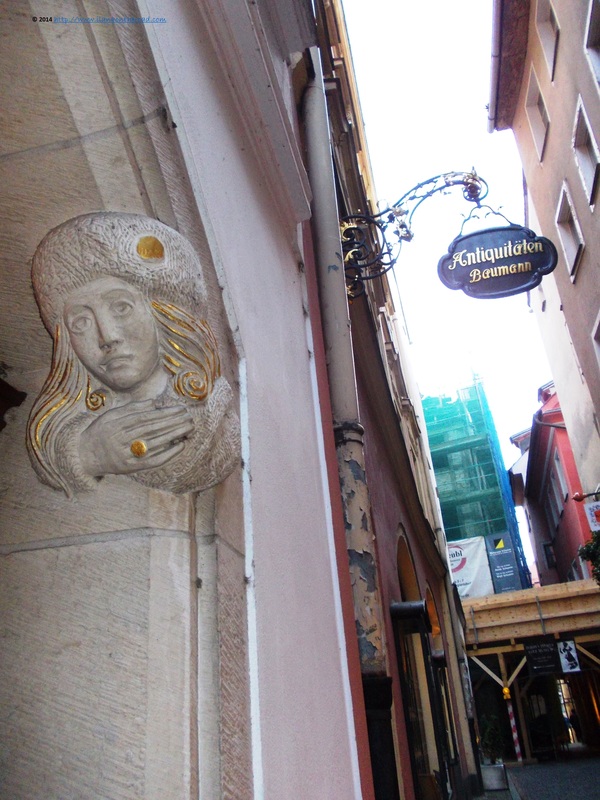 The old Kohlmarkt, the first Middle Age Market in the city, but also all the small bars hidden between the walls of the interior yards were sending joyous sounds of music. Many people decided to watch the concerts instead, many enjoying the various street food options. Here is a short recording I made of one of the many concerts I attended on this occasion. The recent history of the city is equally interesting, as I would discover the next day, when started my travel journey early in the morning. 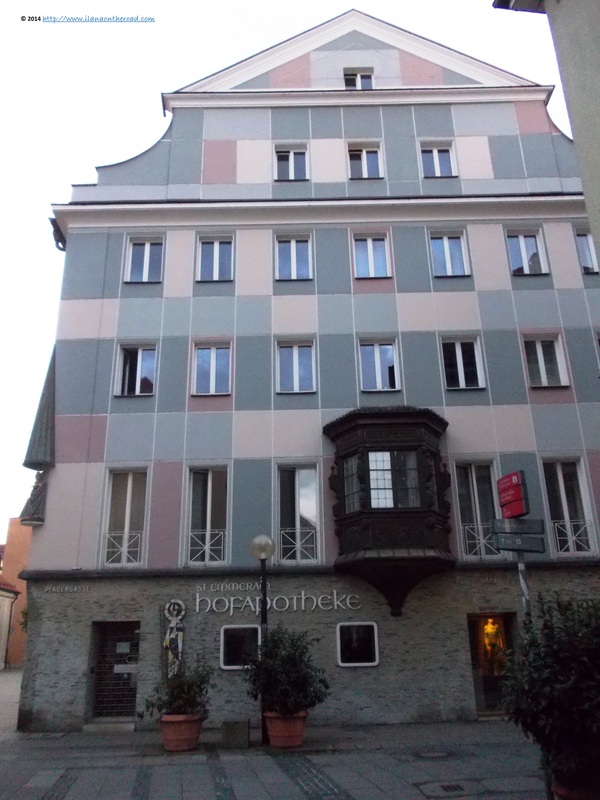 In the old city, the Righteous Among the Nations Oskar Schindler lived between 1945 and 1950. 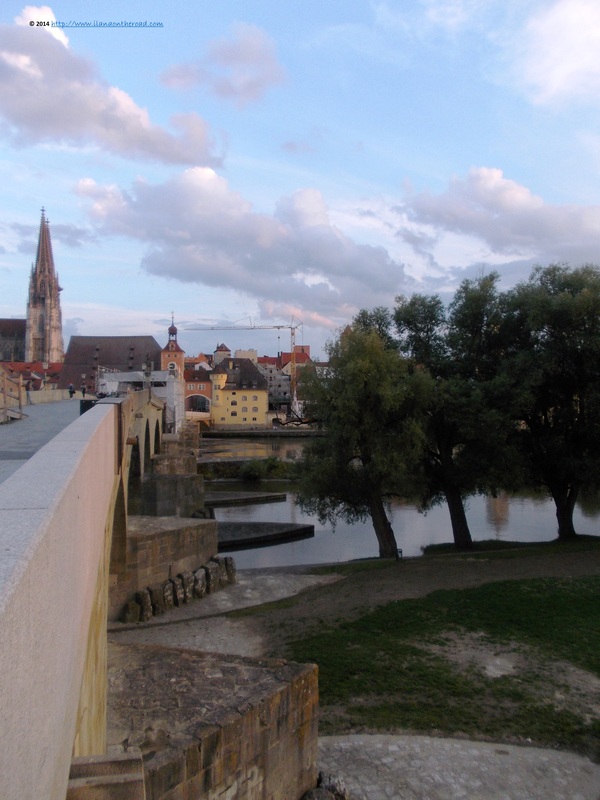 He was praised for his contribution to saving 1,200 Jews, but it seems that in the city of Regensburg, a whole underground of opposition to Nazism was created. With so many interesting stories around me, was about the skip my beloved breakfast, but fortunately, I discovered Anna, a friendly coffee hidden in an interior yard in the old city. Basically sending a lot of sorts of bread, it also has some tempting breakfast offers. 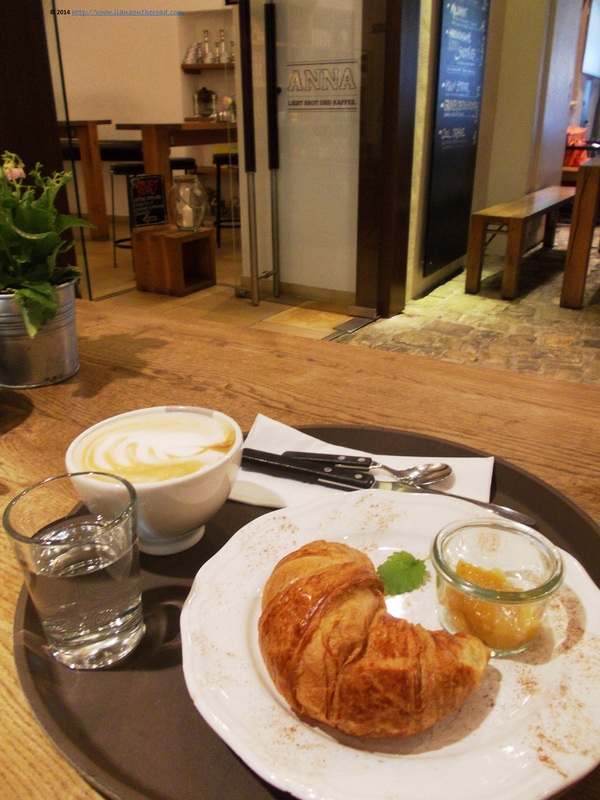 Mine was a fresh croissant, with banana and mango natural jam and a cup of good cappuccino. The plate was brought with a discrete leaf of mint and some spread of cinnamon, plus a complimentary glass of water. Add to this the smiles of the ladies that served and you have the perfect picture of a very good morning. Newspapers with local and international news were also available for those looking for keeping in touch with our dynamic world through classical paper printed materials. Back in the travel mood, I spent more time checking local products. 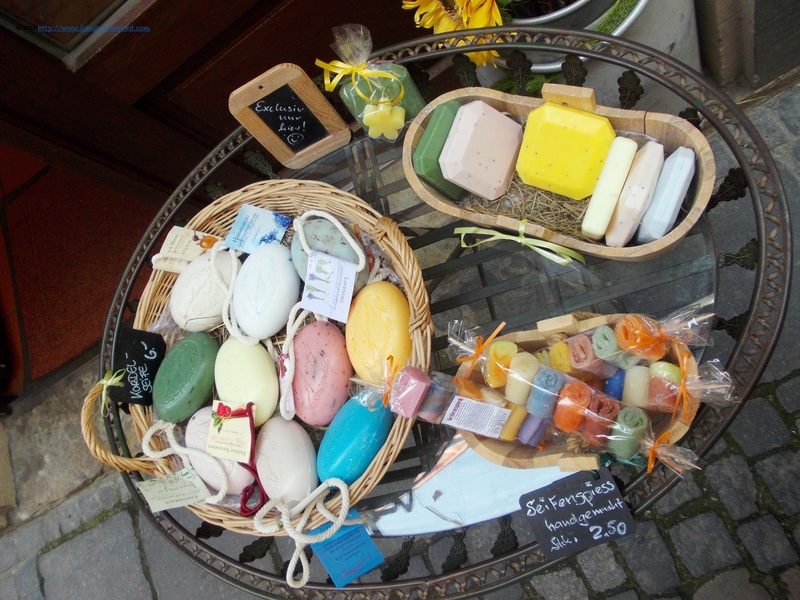 One of my favourite is the Einseifer, on the market since the late 18th century, producing home made soaps. Early in the morning, I spotted near the central train station, the baskets shop. 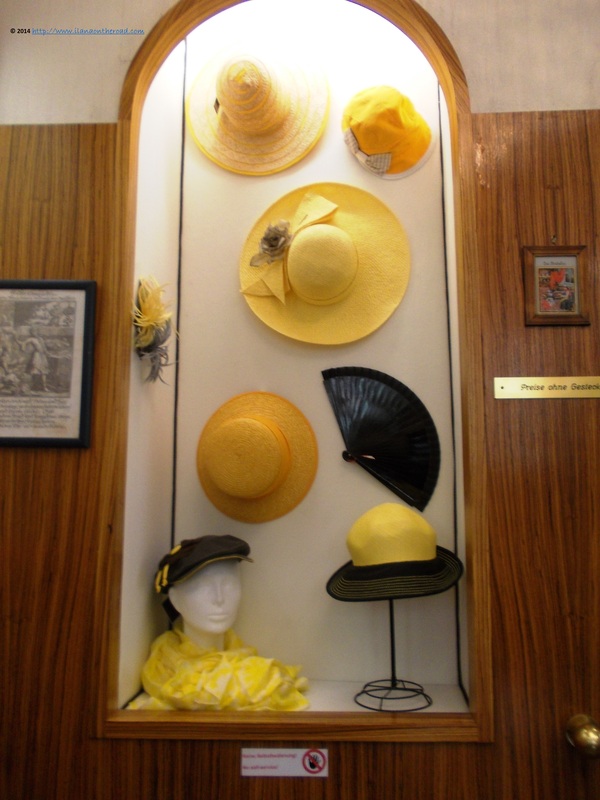 But the most elegant by far is the experienced Hat maker from the Domplatz, making happy men and women in love with head coverings, not only from the German lands, but also from the British royal family or faithful Borsalino lovers. From the same fashion category, my attention was caught by the fashion shop of Lizaa, also available online or the mastery of Paul Leu whose workshop is situated in Stadamhof. 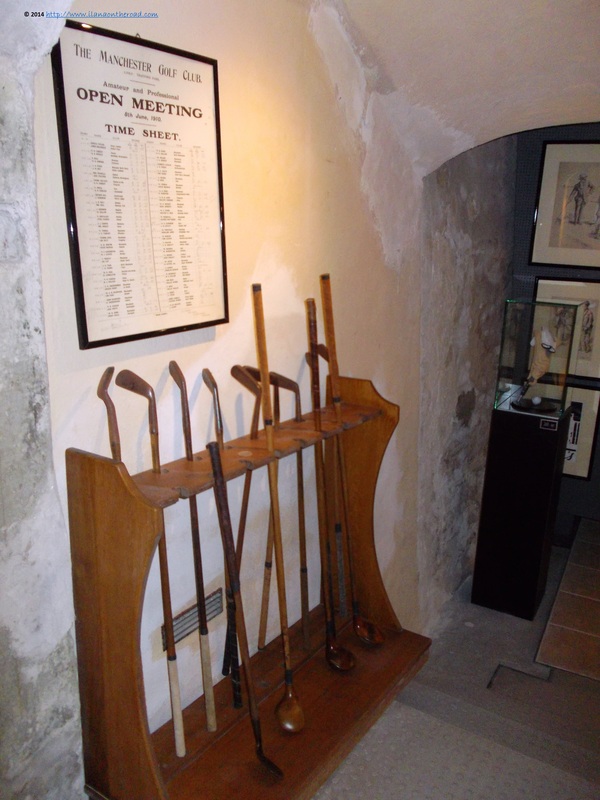 In the medieval cellars of a patrician house in the inner city a dedicated golf lover collected for every 20 years objects exposed in a Golf Museum. Considered together with the Scottish Golf Museum one of the most important resource for the history and evolution of this noble sport, it presents a variety of items, from putters, balls, costumes, schedules and advertising of competitions. Close to the house where the emperor Napoleon lived for a short while, near the Dome, I was successfully tempted to book a short city tour. It lasted 50 minutes and for a price of 8 Euro, plus a coffee at Haus Heuport I was offered an overall introduction to the city. 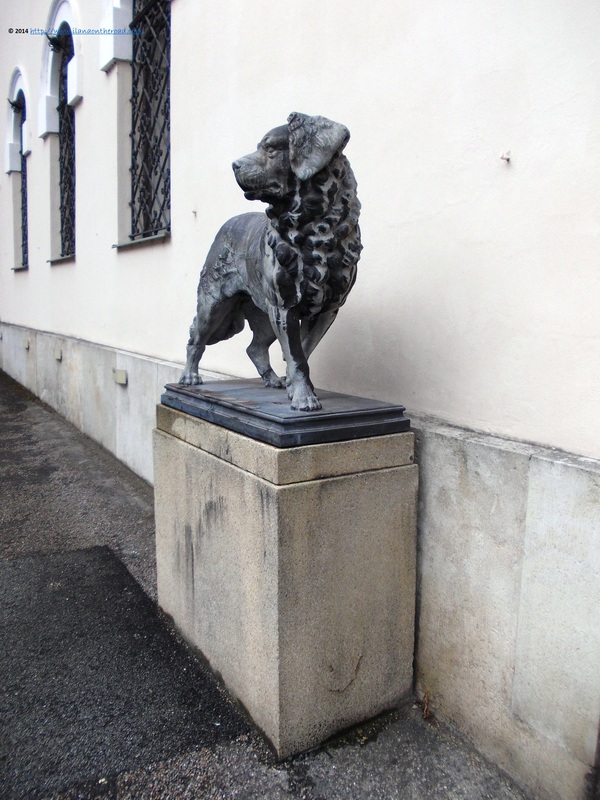 The guided tours are offered in English, Russian, Italian, French and German and it is strongly recommended especially if you plan to spend a limited amount of time. 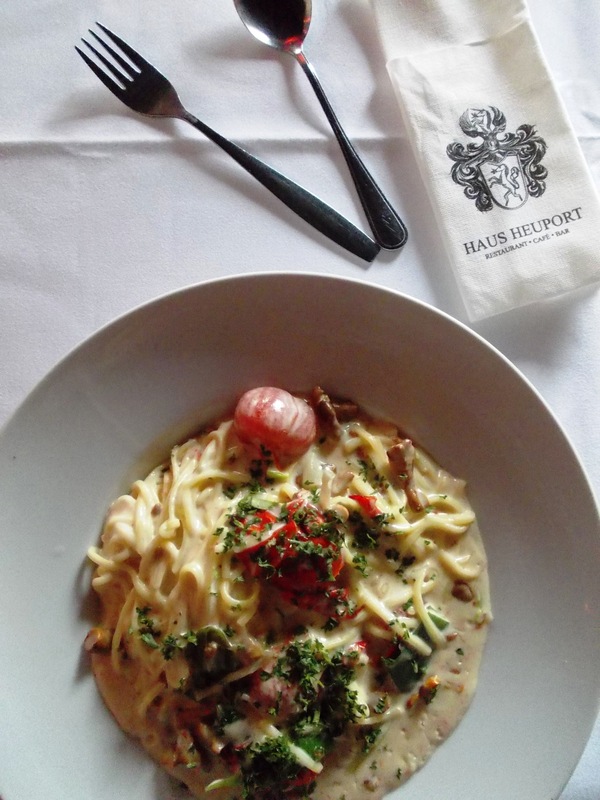 Facing the dome, I rested while tasting the Italian temptations of Haus Hauport. It has both a terrace and a very stylish interior yard where I decided to stay against the irregular rain showers. My linguini noodles with chanterelles were consistent, with cherry tomatoes and leek that balanced the too sauce which was milky, but maybe with too much flour. The chanterelle were fresh, with a flesh consistency. 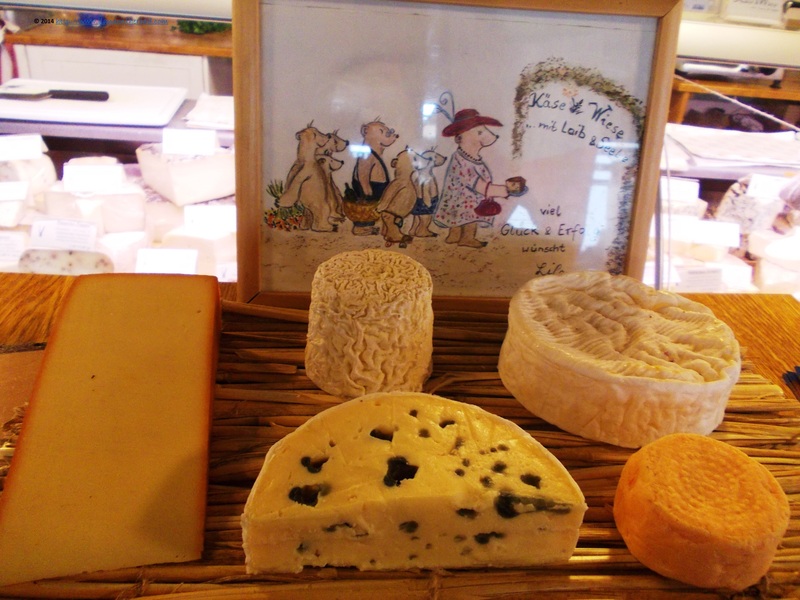 Continuing the foodie mood, I paid a short visit to the Markthalle, where famous sorts of Bavarian cheese were exposed near Scotland famous whiskeys, French wines and various sorts of fish. For those spending more time in the city, cooking classes held by local chefs can be a good opportunity to spend the stay in a different way. After learning so much about the city, I was nostalgic about it before even leaving it. In order to made the 'good bye' moment even bitter, I ran to the last priority on my to-do-list: the Thurn and Taxi castle. The descendants of the princely family are still living in part of the castle and preparations for a noble garden party were ongoing in one of the private areas. Guided visits through the castle are taking place at specific dates, but the Treasury Chamber and the Carriage Museum - outlining the Thurn and Taxi family had a tremendous contribution to the development of postal services across Europe - are available all round the week. The memory of the beautiful jewelery and table services and the interesting histories of the European carriages left the date of return to Regensburg open for the near future.